Hi, Butterfly Reflections, Ink friends! 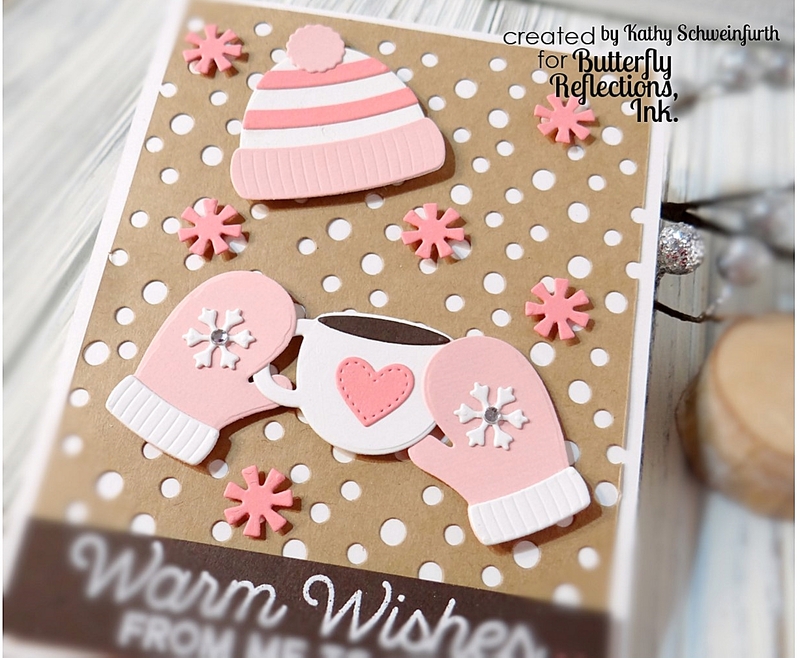 Kathy here sending you warm winter wishes! It's been soooo cold the last couple weeks so I was in the 'need' to create something warm and cozy. For my card, I cut kraft cardstock using Reverse Confetti Snowballs Cover Panel and adhered to the Lawn Fawn White cardstock base. The sweet images were created with Sunny Studio Designs Warm & Cozy Dies which I used to cut Lawn Fawn White, Ballet Slipper and Guava cardstock. The sentiment is from My Favorite Things Let's Get Cozy. This is darling Kathy! 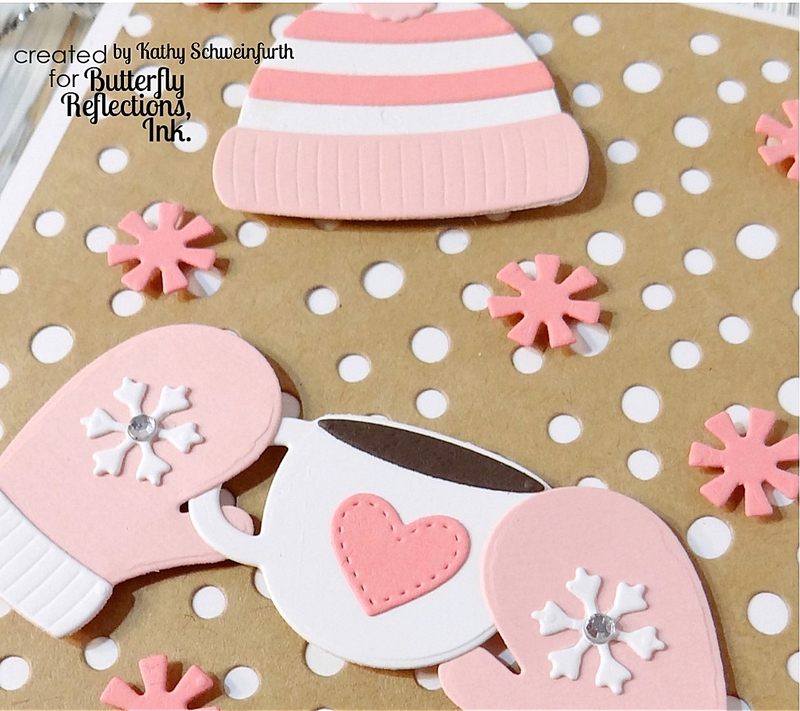 I'm going to share it in the Coffee Loving Papercrafters FB group!